Classic orange handle. Good quality scissors from Fiskars. Right-handed.21 cm long. 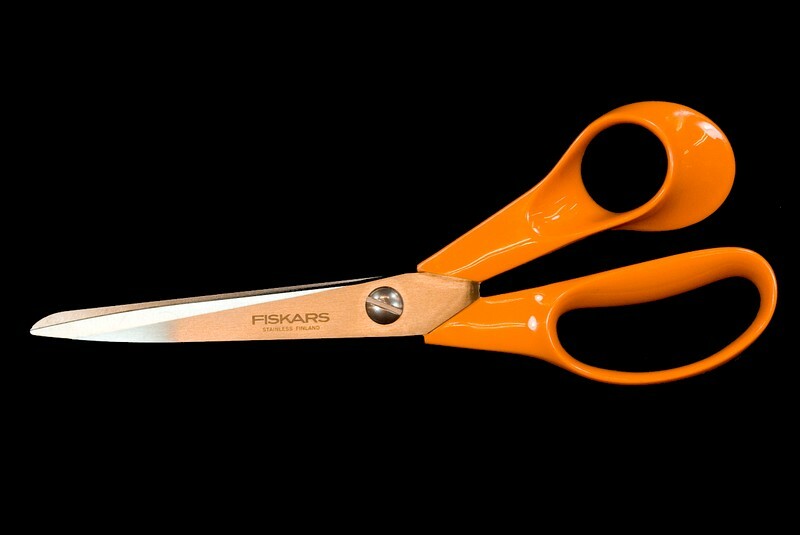 Fiskars pinking shears 23 cm.